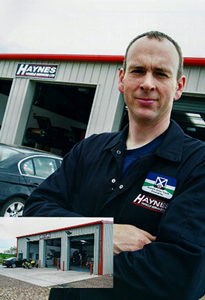 Originally formed as Haynes Coachworks, the business was formed in 2000 with Kevin Haynes as proprietor at our original premises at Boat Road, Thankerton, Biggar, South Lanarkshire. The business grew substantially and in 2012 the premises were rebuilt and extended with the introduction of a new MOT station suitable for cars and light commercial vehicles. We also have a spray paint facility with a separate repair area and a high quality spray booth/oven. Combined with engine remapping, diagnostic repairs, DPF/EGR valve write outs, body work repairs, accident repairs, full mechanical support and classic and motor sport repairs including bodywork restoration and modifications, Haynes Vehicle Services are able to offer a one-stop-shop 6 days a week.